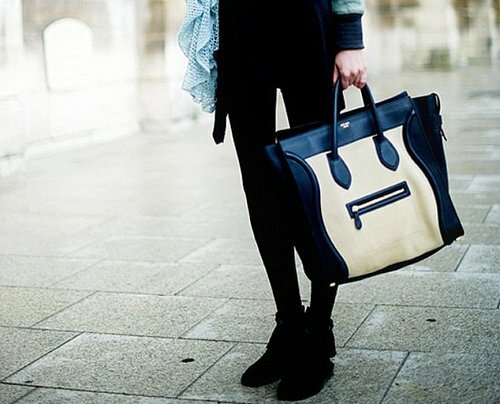 Damn, I am already craving for this bag for monthsss... CELINE BOSTON BAG. My favorite ...the black and white mixed one and the biggest size. This bag is more than the new IT-Bag, for me it's kind of the modern Birkin bag of Hermes. Oh lord, isn't there a sponsor who wants to send me this darling?! omg i just could start crying right now! that bag is gorgeus! This bag will stand the test of time. And its practical. Celine's bag! they are cutties and they are big too.